RCMRD recently conducted a two-week training for Surveyors and Engineers from the Department of Survey in Sudan. The training focused on GNSS and data processing for precise applications. This was a 2-week course from October 22 to November 2, 2018 that enabled attendees to achieve proficiency, not merely familiarity, with the essential aspects of using GPS / GNSS signals. In attendance were 15 Surveyors and an Engineer from the Department of Survey Based in Sudan. 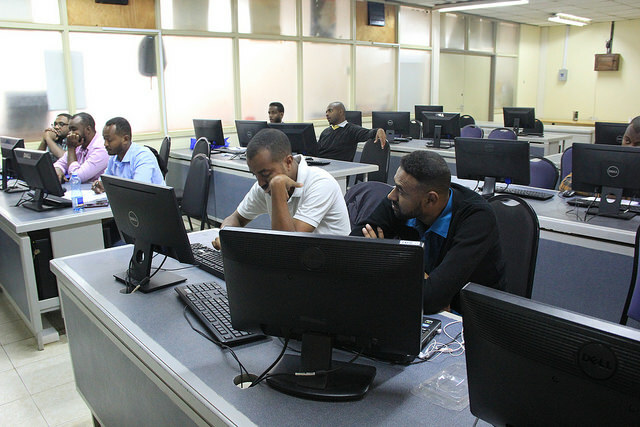 The participants were trained on data processing, online or converted data, analyzing and the application of the data. It not only thoroughly addressed current and future GPS signals, but also drilled deeply into available details of signals from other satellite-based positioning and timing systems. As attendees understood similarities and distinctions between different systems and signals, they were equipped to take advantage of signals from multiple systems. The training covered areas around GNSS and data processing. It started with the concepts of space positioning and GNSS technologies, processing data with Leica/geo office an introduction into open source and finally raster and vector analysis. He said, “We really enjoyed learning at RCMRD. Other than that hard to acquire instrument, I like how you had every instrument that was needed and because of that, we ended up having first-hand experience in learning the ins and outs of the instruments.” He further stated that it was because of the training acquired that all the surveyors present can confidently go back knowing that they’ve learnt something new. 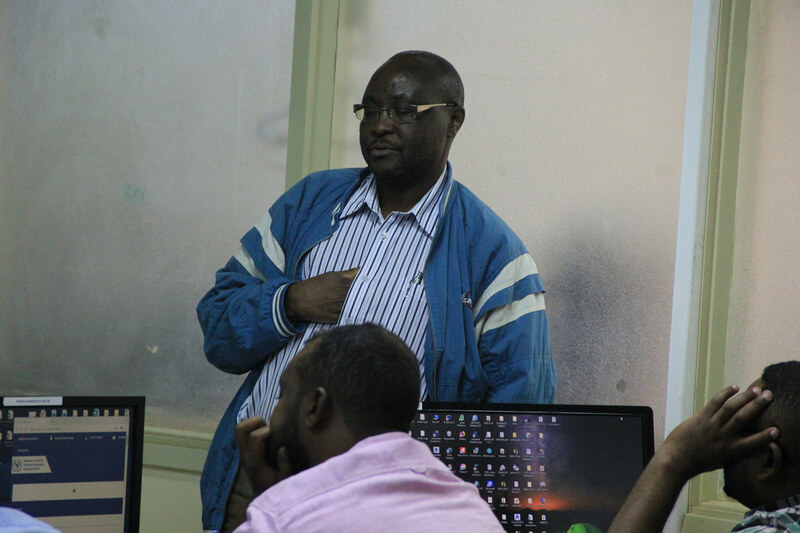 David Sakwa a Survey Technician at RCMRD Byron Anangwe RCMRD’s Business Development and Marketing Officer and Mike Nyamori, a Surveyor in Kenya facilitated the two week workshop.